I found this book extremely upsetting and uncomfortable to read. Throughout the author’s life, through all of her achievements and triumphs, the underlying refrain continues to be the emotional abuse she suffered at the hands of her own mother, practically from the day she was born. 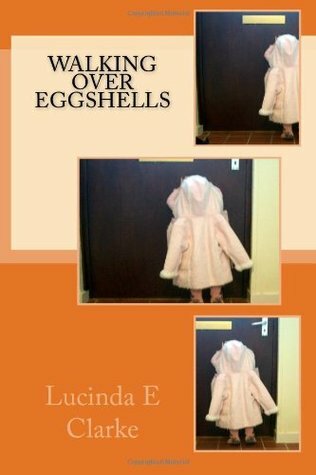 Using a pseudonym, the author recollects her childhood and the constant reminders from her mother that she is worthless, does nothing right, and will never be the recipient of the maternal love she so craves. Despite this, she perseveres, maintains a relationship with her mother until her death, and manages to keep going, sometimes in the most unimaginable conditions. Eventually, Lucinda gets married, albeit to a man of questionable morals, and with a tenuous grip on reality and the truth (described as ‘Walter Mittyesque’), but she does love him. And so begins a roller-coaster of a life that spans countries, fortunes made and lost, long absences and infidelities (her husband’s) and desperate attempts to make a living and keep a roof over their heads (her own). It seems that she became so used to living with her self-absorbed, narcissistic mother, and so chose a man who was practically identical in nature; someone who never took responsibility for his actions and who blamed everyone but himself when things took a turn for the worse – which they did … often! Some of the recollections shared here are funny, many are challenging, and several are downright heartbreaking, including the ever-present black cloud that is the author’s mother and her refusal to acknowledge any of the hard work and trials that her daughter must endure, and her complete lack of any sort of support or assistance. Doing everything she can to make ends meet and to ensure that she can provide for her two daughters, Lucinda worked as a teacher, dog breeder, stable owner, writer and radio personality (and that’s not all!). Eventually, after trekking across Africa (Libya, Botswana and eventually South Africa), she finds the happiness she deserves with a man who appreciates her kindness, and the way she goes out of her way for everyone she meets, with no regard to receiving anything in return. Lucinda’s life has certainly been eventful, and we’re privileged that she’s chosen to share it with us and take us along on the journey. She writes with clarity, in a non-dramatic and concise manner that makes for easy reading. Wherever she is today, I truly hope that she’s receiving an abundance of love and care to make up for all the love and affection she was deprived of in her younger years.